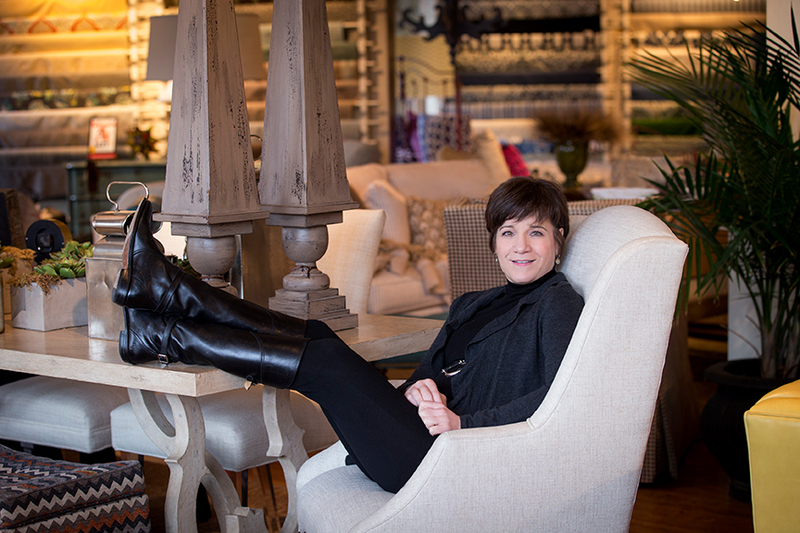 Anne Tipton, owner of Expressions Furniture, shares tips to bring color into home furnishings. Locally owned for 27 years, the Expressions custom options offer styles, fabrics and expertise to help you express yourself! Design consultants work with you to identify your distinct style. The showroom offers furniture, fabrics and accessories celebrating design and color. Stop in to sit, touch and experience the variety of possibilities the store offers to create a home uniquely yours. SLHL: How do you establish a color palette? Anne: Many clients visit Expressions with a favorite color in mind, often inspired by a pillow, art, rug, magazine clipping or Pinterest. Others are looking for that inspiration! We delve into the intended “feel” of the room, which often provides direction for color and content. Our team listens to our customers in order to identify needs and provide options. We pride ourselves on our amazing fabrics, hues, textures and custom finishes, and design a plan just for them. SLHL: What tips do you have for mixing various colors and fabric patterns? Anne: Mixing allows the homeowner to express their personality. Don’t be intimidated! Florals, stripes, plaids, solids and paisleys can be combined to create a fresh, fun look. Scale and proportion are the secret to pattern harmony – we marry fabric to the size of the frame. The easiest way to mix patterns is to start with a solid or neutral base and add flair from there. SLHL: What advice do you give to a customer who is afraid of color or looking to make a bold color statement? Anne: Orange is the new black, and color is the new neutral! Start small — add colorful pieces to your existing room like a lemon leather chair, a floral ottoman or an orange lamp. If you’re ready to take the plunge, a red leather sectional or a vintage purple rug adds a sophisticated “wow” factor and a pop of personality. SLHL: Do you follow color trends? Anne: Yes and no! Today’s runway looks are reflected in tomorrow’s fabric selections. We constantly update our offerings to reflect what’s happening now in color, texture and fashion. We’re knowledgeable about trends, but we realize trends come and go. This philosophy sets us apart from national chains whose catalogs and retail stores only cater to “what’s now.” Expressions’ customers appreciate our combination of “fashion forward” and timeless furniture. We know great style lasts forever and are dedicated to helping you find yours! SLHL: How does your showroom differ from others? Anne: There’s no other store in St. Louis that is like Expressions! We truly have something for everyone. Celebrating color, our showroom allows our customers to immerse themselves in comfort and creativity. Our displays show how you can mix and match style, texture and finishings to create a room, and a home, that celebrates you.